Unicorns rock. We all know this, but here are 3 more fun ‘facts’ about our favorite mythical beasts that you may not know. The Unicorn horn was also known as the ‘alicorn’ and believed to neutralize poisons. 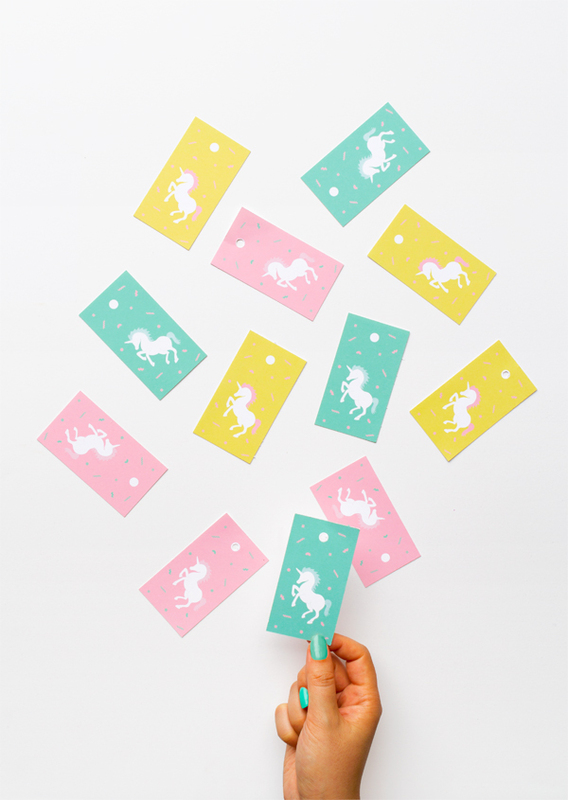 Legend has it that Noah excluded Unicorns on his ark and that is why they’re extinct today! In Medieval times, Narwhal tusks were passed off as Unicorn horns and sold for many times their weight in gold. 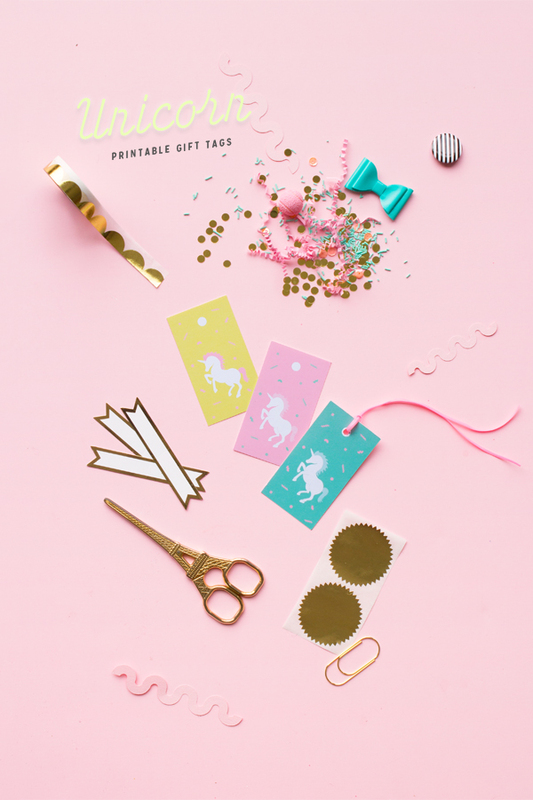 Grab your free printable unicorn gift tags in all their girly, pastel, 80’s childhood glory! You know you want to. Step 1: Download the PDF, print onto good quality white cardstock. Step 2: Cut out tags using an x-acto knife, ruler and cutting board. Step 3: Use a standard round hole punch at the top and string through your twine. These tags are so cute! I love them! I want to! 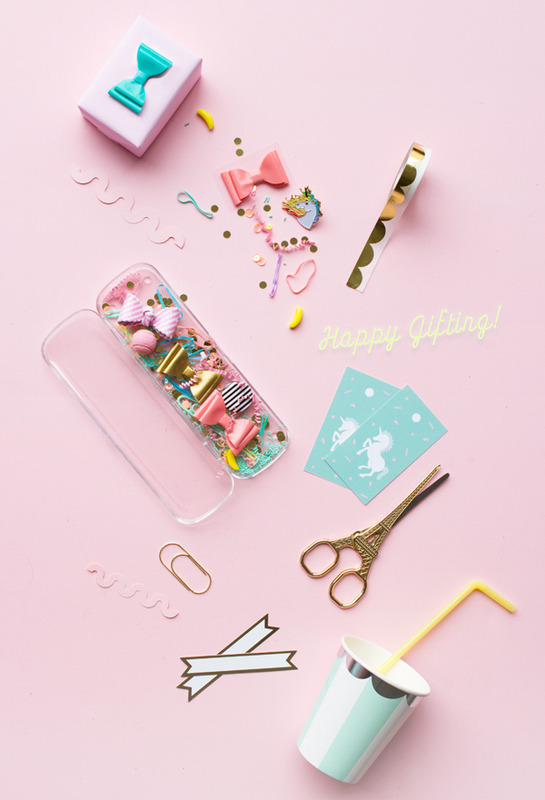 These photos you have there are so damn cute, I love those girly pastel colours! These are so lovely! 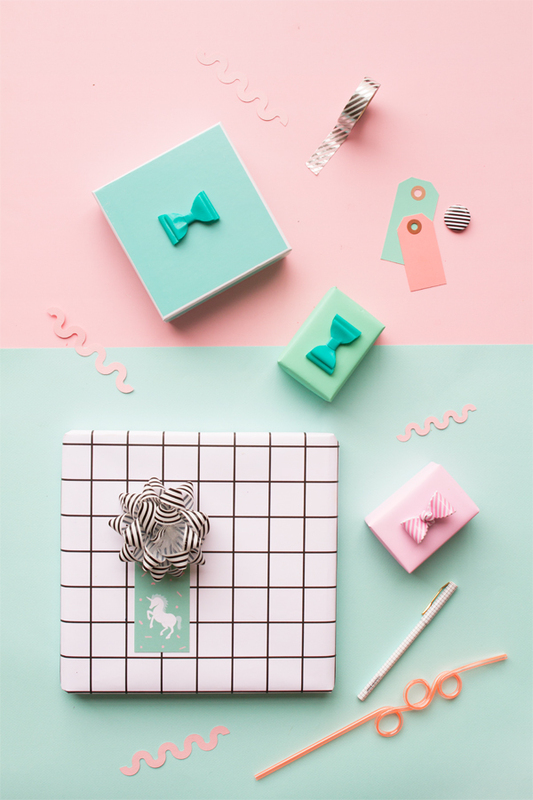 What a cute way to brighten up a gift! 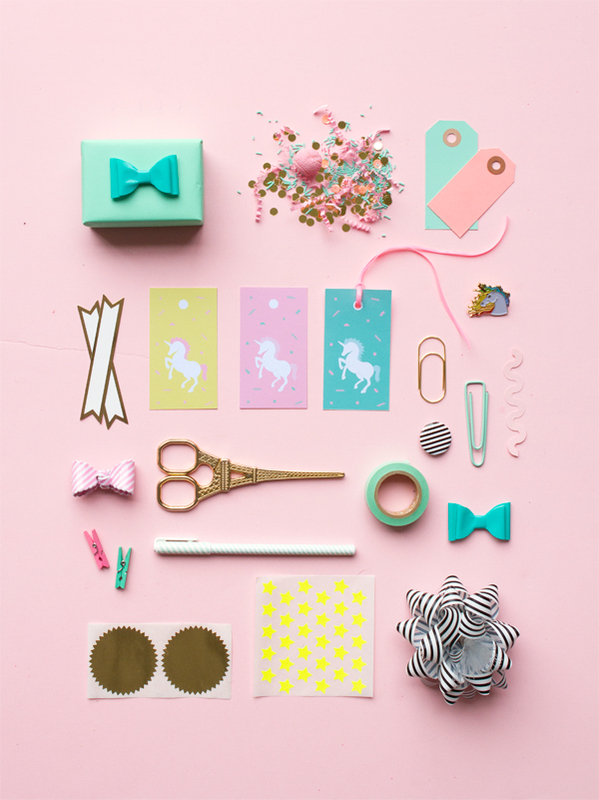 Who doesn’t love a unicorn? !